Scott Snyder has kept up his side of the deal we made in my head. I said I will continue to buy his Detective Comics issues as long as they remain the best book DC is producing every month. I made this deal with him in my head because that's where he has been since he started American Vampire over a year ago. Detective Comics #876 begins a new arc, yet continues to draw on the Commissioner Gordon (and son) storyline which has been running through each Snyder Detective book. This issue is definitely another great story piece by Snyder, but it is accented by graceful sky dancing and fantastic facial expressions penciled by Jock. 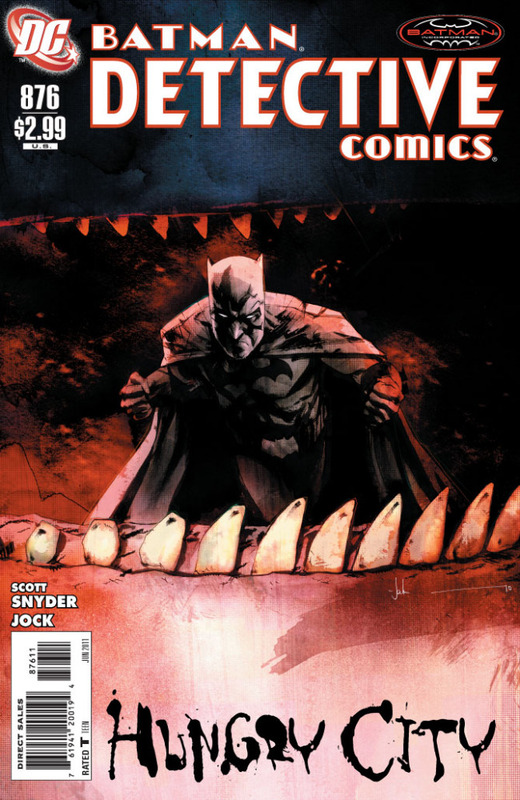 Check out my full review of Detective Comics #876.
haven't read any of his run. Morrison scared me off of the bat.